Viewing a thread - We have a runner! Subject: We have a runner! 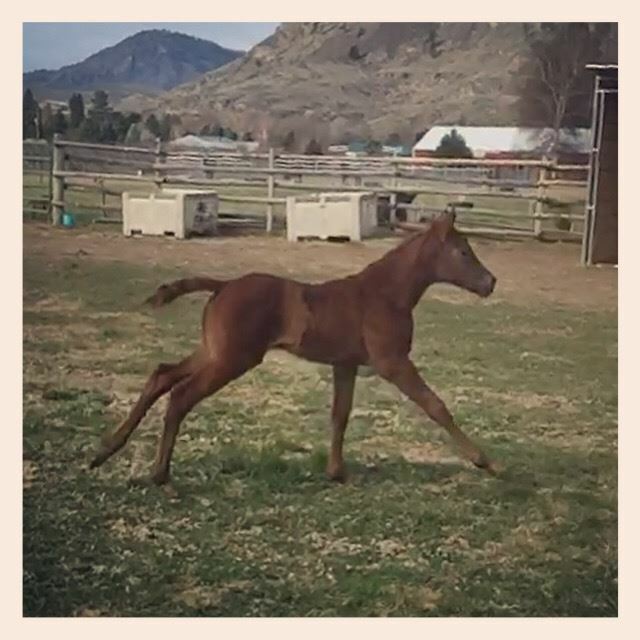 Our Big Brown daughter foaled a huge Fiestas Gotta Gun filly a week ago today, and she is already showing us just how fast she is! This picture was taken from a video of her running last night, so it’s not the best quality. We are more than impressed with her so far! Subject: RE: We have a runner! @ madredepeanut: What a beautiful head. Congrats on your FIRST baby of the year, L! Very nice I love a solid sorrel or bay even a Chestnut, is this one going to be a Chestnut? And agree about that pretty little head shes got. I want to see a pictutre of her standing still. She sure loves to run! We had planned on selling her as a weanling, and had people interested in her when she was still an embryo, but right when she was born J changed his mind and said we could keep her I didn’t disagree! I'd say I definitely see grey! We have a 4 yr old that was grey sire and dam, and I'd had a run of grey horses for a few years and was tired of them, LOL, so I was sure there was no way he'd stay the cute sorrel with flaxen mane and tail...but low and behold, he's still sorrel. I can see the light/greying around the eyes in this picture too, she sure is a cutie thou. You can tell that she thinks she something, ha ha ha ha..
Oh she has an attitude for sure- and she’s not afraid to use it! Thank you! 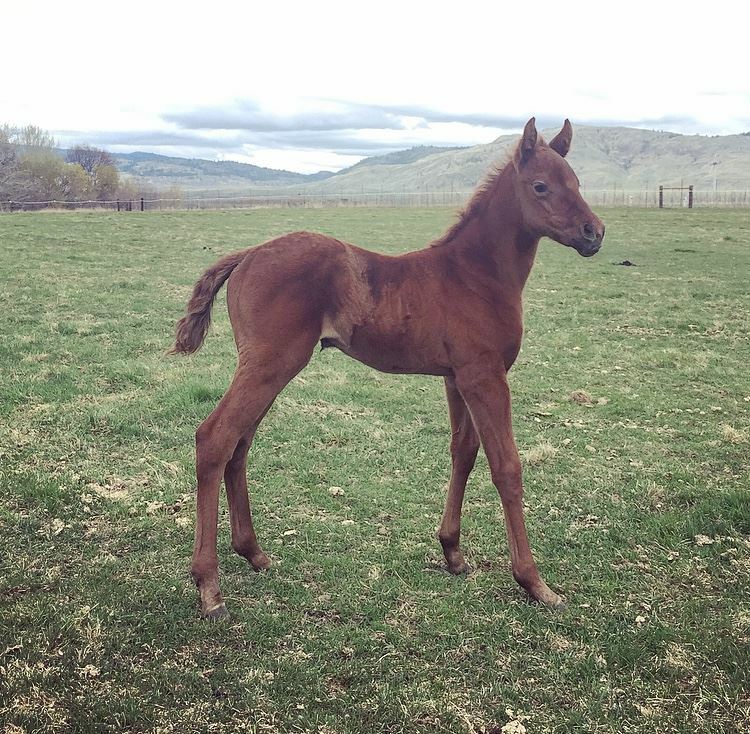 We are pretty thrilled with her dam and the foals she’s been producing! I can’t wait to see them in the arena. Super neat cross!! Keep us updated! !